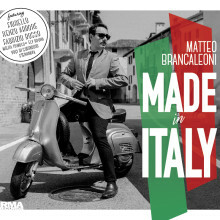 Italian Swing Band is the new LIVE project of the Italian Crooner Matteo Brancaleoni . The new show “Italian Swing Band ” taking inspiration from the great crooners of the past such as Frank Sinatra, Dean Martin, Sammy Davis Jr., Tony Bennett, Louis Prima , but proposing a repertoire that ranges from the classics of the American songbook to the great Swing Italiano and Italian songs famous all over the world sung by great performers like Mina , Fred Buscaglione , Renato Carosone , Jimmy Fontana, Umberto Bindi, Gino Paoli up to the present day with Lorenzo Jovanotti and Tiziano Ferro. A concert unique. 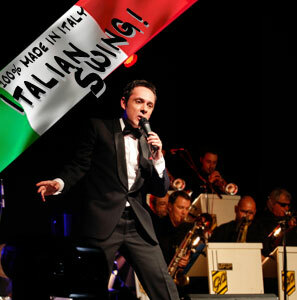 Italian Swing Band is not only a tribute to the great artists but it is an elegant and dynamic show ranges between different moods , not just swing, but also as Latin, Bossa Nova, Mambo, Cha-Cha to the Blues and a surge of Rock ‘ n Roll . A pure Italian style show! Italian Swing Band is 100% Made in Italy! The whole show is conducted by the Italian crooner, “the phenomenon of Italian swing” as newspapers have called him , Matteo Brancaleoni . 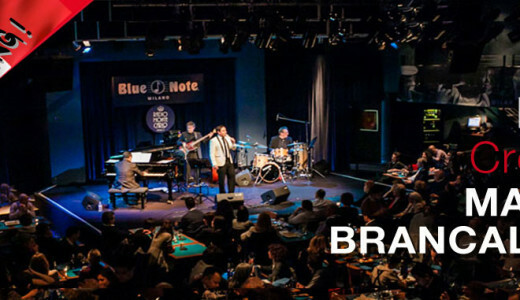 With high esteem ranging from Michael Bublé to Renzo Arbore , Matteo Brancaleoni has over 500 concerts all over the world in large theaters and major jazz festivals (Umbria Jazz, Jazz Elba … ) and jazz clubs ( Blue Note, Birdland ), Casino (Venice , Champion , Monte Carlo, Nova Gorica … ) , more than 30 000 albums sold , 918 placements in the iTunes Chart in Italy , Germany, Finland, Spain, France, Japan, N. 1 in the iTunes chart with “Live in Studio” album and 3 times in the Top 5 of iTunes with three different albums. “Italian Swing Band ” is available in different sets from trio to 8tet , up to the Big Band of 17 elements . Highly recommended and suitable for the Big Gala Dinners and Corporate Events.